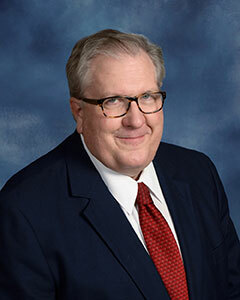 John Wagner is an ordained United Methodist minister and the co-chair of United Methodists for Kairos Response. UMKR was founded in 2010 by United Methodist clergy and laity in a grass roots effort to respond to the Palestinian Christians’ call – in the Kairos Palestine Document – for meaningful actions to end the Israeli occupation and help them regain their freedom. In this interview, Mark Braverman, Program Director for Kairos USA, speaks with John about his personal journey, the growing scope of work in UMKR, seeing liberals and conservatives working together, and his reflections on the church movement for Palestine. PP: Thanks for taking the time for this interview, John. Let’s start with asking you how you were called to this particular ministry? JW: In seminary I did a study of Jewish theology coming out of the Holocaust. It was powerful for me to see the impact that event had had on notions of who God is and how we relate to God. Then I was able to go on a trip to Eastern Europe. I visited Auschwitz and that had a powerful effect on me also. As a political science major in college, I had studied the Middle East and the Holy Land, including the history around the creation of Israel and what had happened to the Palestinians. And that was it for my connection to any of this, for several decades, until I was given an opportunity to go to Israel and Palestine with United Methodist Women. I was very moved by what I saw and heard, meeting Palestinian Christians and Muslims, as well as Jewish Israelis. There was a memorable visit with the group Breaking the Silence, former Israeli soldiers now speaking about their experiences in the occupied West Bank. When I came back from that trip, my denomination was preparing for General Conference – that was in 2008 – and there was a resolution being put forward on divestment from the companies involved in the Israeli occupation. I thought there was a case to be made for that. I asked to speak to some United Methodist leaders here in Ohio about why I thought this kind of divestment made sense, but when I got to the meeting, I found that people from the Jewish Federation were attending and were going to give their side of the story. I remember one woman from a local Jewish Federation saying that by raising this divestment action, we were getting back into some issues we thought had been resolved. She said that we don’t want to “get into that whole mess again.” She was referring to concerns about anti-Semitism, — the idea that “we’re all getting along so nicely now, why mess it up?” And that angered me. I felt it was a version of what’s been called the “ecumenical deal” – let’s not rock the boat over this Palestine issue and hope we Christians will be forgiven for thousands of years of persecution of Jews if we just stay away from criticizing Israel. As for the Palestinians, let’s just forget about those people. So that divestment resolution was withdrawn at General Conference in 2008. Then I became chair of the Board of Church and Society in my annual conference, West Ohio. In our conference, I proposed a resolution saying that we would study whether or not we should divest from the Israeli occupation, as a conference and as a denomination. I felt inclined toward divestment, but really wanted to keep an open mind. For that study, we invited some of the same people from the Jewish Federation. And we talked to Rev. Alex Awad, a Palestinian missionary for our denomination who was serving as a dean at Bethlehem Bible College and pastor of a church in Bethlehem. We also included people from our conference Board of Pensions — we tried to get a whole range of perspectives. And we helped send three persons to Israel/Palestine to investigate for themselves – a self-proclaimed liberal, a conservative and a moderate. What really impressed me was seeing that it moved us beyond the traditional conservative-liberal divide. At the end of a two-year process, the liberals, moderates and the conservatives all agreed that we should divest. It was particularly moving to me that theological and political conservatives felt that this was a case where the United Methodist Church had to take a stand. As an annual conference, we divested from three companies, Caterpillar, Hewlett Packard and General Electric. And what really impressed me was that it moved us beyond the traditional conservative-liberal divide. It’s been just as powerful for me ever since, the experience of seeing people come to what I consider a courageous and correct understanding of the problem. It still moves me, and I’ve seen it happen in a lot of places, not just in my conference. A lot of people know that the divestment resolution that came to General Conference in 2012 didn’t pass. But at that conference our church did call for the whole world to ban any imports of products from Israeli settlements in the occupied territory. Which was a pretty amazing action, but it was kind of overlooked in all the news about divestment. And over the last few years, more than a dozen annual conferences have passed resolutions to divest their own conference funds and/or calling on the denomination to divest from companies profiting from the oppression of Palestinians. So we showed pretty clearly that we were not giving up on this issue after 2012. And we’ve seen real movement on a denominational level. Some top leaders in our church’s General Board of Pensions, Board of Global Ministries, Board of Church and Society, United Methodist Women, and a few others took trips over to there [Israel/Palestine]. In between our General Conferences in 2012 and 2016, the Board of Pensions divested from G4S, the security firm, which they said happened partly because of concerns about that company’s involvement in human rights abuses in Palestine. And then, in early 2016, something really big happened. The Pension board announced that it had divested from five Israeli banks along with another company or two, as the result of a new human rights investing screen they are using. And I’m pretty sure those actions wouldn’t have happened, if not for the persistence of UMKR folks drawing attention to what’s happening in the Holy Land. PP: I know that the General Conference in 2016 presented some real challenges. JW: The opposition to divestment was much better organized in 2016. PP: Would you say that concerns about divestment are mostly focused on church relationships with the Jewish community? Or are there other theological and biblical issues that are at play here or a combination of those? We need to let them know that we care about Israelis too and we don’t want to hurt Israel. JW: I think that while there are some Christian Zionists within the denomination who are coming from a theological approach, there are many others who just have a strong affinity for Israel and want to protect it. And we need to let them know that we care about Israelis too and we don’t want to hurt Israel. We believe that the actions we’re working on can help get to the day when Israelis are living in peace with their neighbors. That would be the best protection they could have. PP: Let’s talk about what’s been achieved recently. It looks like there have been a range of actions taken in 2016. JW: If you count all the actions that have been taken in the last year by annual conferences around the U.S., you are talking about a million United Methodists! PP: What has this all meant in terms of the agenda of UMKR? JW: We started out in 2010 focused just on divestment, but we have really broadened our focus – now we also work on boycotts focused on the Israeli occupation, we are supporting political advocacy with members of Congress, we’re promoting better choices for church members’ tours to the Holy Land, and we’re trying to find ways to educate our church members about what is really happening there, helping them get beyond the headlines and the huge amount of misinformation they’ve been hearing for years and years. In UMKR, we look for ways for everybody to get involved in one way or another, not only with boycotts or divestment. Our church has people in regions all over this country and in countries around the world with very different theological and political constituencies, so I would say that we are more diverse, politically and theologically, than other denominations. And so, in UMKR, we look for ways for everybody to get involved in one way or another, not only with boycotts or divestment. Lately, our conferences have spoken strongly through a range of actions, such as advocating for the rights of Palestinian children. One annual conference passed a resolution advocating for Palestinian water rights. We are also working on to the freedom to divest or boycott. UMKR is strongly opposing the anti-BDS legislation that is appearing in a lot of states and now in Congress. We’ve found this issue resonates with people in pretty diverse areas. I was personally surprised and pleased that resolutions on that made such a strong showing in places like Arizona, Florida, Nebraska, and Kansas. They voted to oppose anti-BDS legislation that targets people who are exercising their right of free speech by supporting boycotts or divestment focused on Israel’s human rights violations. And I think that says something about mainstream America and, you know, the limits of their willingness to support Israeli policy, especially if that means limiting our right to speak our minds and put our money where we choose. PP: So are you seeing movement in your church or in the U.S.? Are you seeing a shift? You’ve been working on this for some years now. JW: I think that we’ve helped to create some questions in people’s minds about Israel’s role in peacemaking and about the occupation and the settlements. In our denomination, I’d have to credit people, not only the ones in the top decision-making positions, but also people in many annual conferences, who have made the effort to go over there and see the situation for themselves. I think that is one of the big reasons why UMKR and the church as a whole have achieved what we have. That’s why a number of annual conferences have taken action, because people in those areas have taken the situation seriously enough to make a trip and then have come back as witnesses to the real conditions over there. PP: You mentioned something about other denominations as well. What are you thinking about the role of ecumenism? I think we’re poised to do some things together ecumenically, provided that it really represents grassroots opinion. JW: I think that, now that a number of denominations have spoken through their actions, this is the time for ecumenical action. I think we’re poised to do some things together ecumenically, provided that it really represents grassroots opinion. And there is a better case to be made these days for denominations working together, to work together more as Christians, or even more broadly with interfaith partners. This seems like the right moment to me. Personally, and I think this is true for most of UMKR, I am committed to working with other justice movements, what’s being called intersectionality, as well as working across the liberal-conservative divide within our denomination. We’ve received courageous support from a few conservatives from higher up in the denomination who are willing to risk their relationships by advocating for Palestinians’ rights. They’ve been over there, and they’re appalled by what they’ve seen and they have decided to act. I think that we really do need to see ourselves as part of the broad effort to liberate humanity. That includes aligning ourselves with African American struggles, and with the work for LGBTQ rights and human rights in general. That’s important to me. It’s about discipleship and obedience. PP: You talk about crossing denominational and confessional divides. Is this about discovering what is the true church? JW: I think that we’re getting there! I have talked to very few people, Catholic, Protestant or Orthodox who, in the last analysis, see themselves primarily as Presbyterians or Greek Orthodox or Mennonites or Roman Catholic. I mean, we’re all followers of Christ. And first and foremost he’s calling us to live out his love in this world as best we can. As angry as I get sometimes at people who disagree with me about how that should be done, I try to remember that, in most cases, they are trying to find their way to doing the right thing. But it takes a lot of patience! To keep talking to people, that’s how I see my job as an activist, as a pastor, as a Christian. I will say this — I’m so fortunate to have been working with people who’ve taken leadership in this effort. As I’m a person inclined to being conciliatory, I have to watch it that I don’t lose my prophetic edge. It’s a long journey and the path is not always clear, and sometimes it’s hard to see that we are getting anywhere. Right now, I think we see through a glass darkly. And I certainly have made my share of mistakes. I’ll also say that I’m reviled in some quarters. PP: You can wear that as a badge of honor, right? JW: Yes, I guess that’s the cross to pick up, the cost of discipleship. But I still hope that there are courageous people everywhere, including politicians! Part of being a pastor and a Christian for me is allowing for people to change and believing in redemption – metanoia – a change of heart. PP: Is there anything else you would like to add? JW: Yes, something my co-chair in UMKR, Andrea Whitmore, tells me. Andy has been an important guide and support to me over the years, I have enormous respect for her, and it’s been a privilege to know her and work with her. Something that she says in speaking of the church has stayed with me: “Noah’s Ark could be a bit stinky, but it was the only thing available!” I think that’s the way we can think about the church, that it’s what we have, even if it is flawed. The church is big, it’s messy, it errs and finds way to clean itself up when it needs to and find its way back to the path. It’s where we find others who are committed to Christ and to his Kingdom. And we’re going to hang in there together, that’s what I feel. There are fewer and fewer United Methodists, in my view, who are defending Israel as a bulwark of democracy or suggesting that we cannot criticize Israel…. I would say that among progressive United Methodists there’s a growing understanding that we need to follow through with our past statements on Israel and Palestine, that we need to continue to take strong steps, like supporting boycotts and divesting from the occupation. There are fewer and fewer United Methodists, in my view, who are defending Israel as a bulwark of democracy or suggesting that we cannot criticize Israel, because that would be perceived as anti-Semitic or a betrayal of our Jewish friends here in the States. 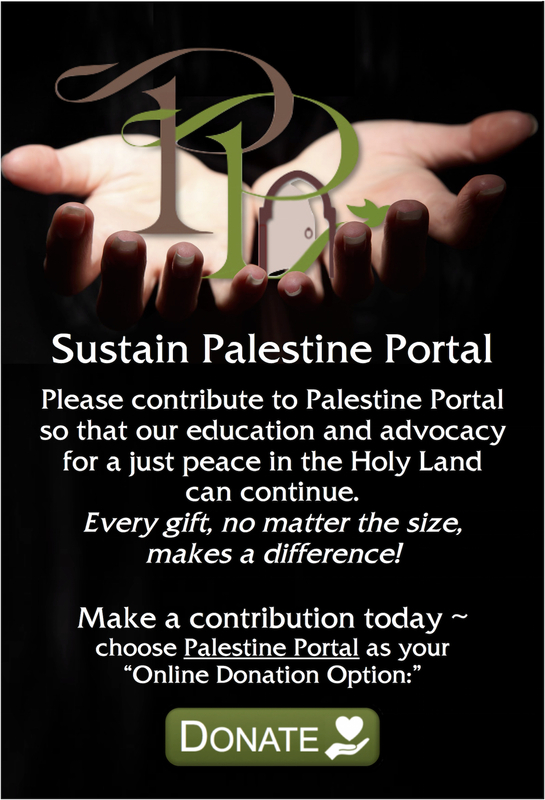 Something important that happened this summer – Palestinian Christian organizations sent a letter to the World Council of Churches saying their situation has become “beyond urgent” and asking fellow Christians for “costly solidarity.” I think we need to be taking stronger stands as more and more people understand what’s really going on in the Holy Land. PP: Thanks, John, for your continued persistence as you walk the path of discipleship!